What’s a visit like to your office? When you come for your first visit we will do a comprehensive examination, including a full set of x-rays, detailed dental history, periodontal probing and medical history survey. This provides Dr. Karen Urnise with important information to determine what treatment options best fit your needs. Dr. Karen Urnise will review all information gathered during your comprehensive examination and put together treatment options for your needs. We will then schedule you for a complimentary 30 minute consultation to go through different treatment options, insurance and cost. This allows her to spend additional dedicated time with each patient to answer any questions before moving forward with treatment. We want kids to like coming to the dentist, for the first visit we want them to have fun. We have a special kids area in our practice that can help your child feel at home here. It is recommended that your child be seen when their first tooth comes in or by their first birthday. Depending on your child’s age and comfort level we will either do a knee lap examination or a regular exam in a dental chair. If your child is ready to sit in our regular chair we will show them all our fun things and clean their teeth, give detailed brushing instructions and apply fluoride varnish. During a knee lap examination, Dr. Urnise will sit knee-to-knee with the parent while the parent holds their child as Dr. Urnise examines the child’s mouth. This provides a very safe and comfortable first dental experience for the child. Often children cry at some point during first dental visit, this is completely normal. 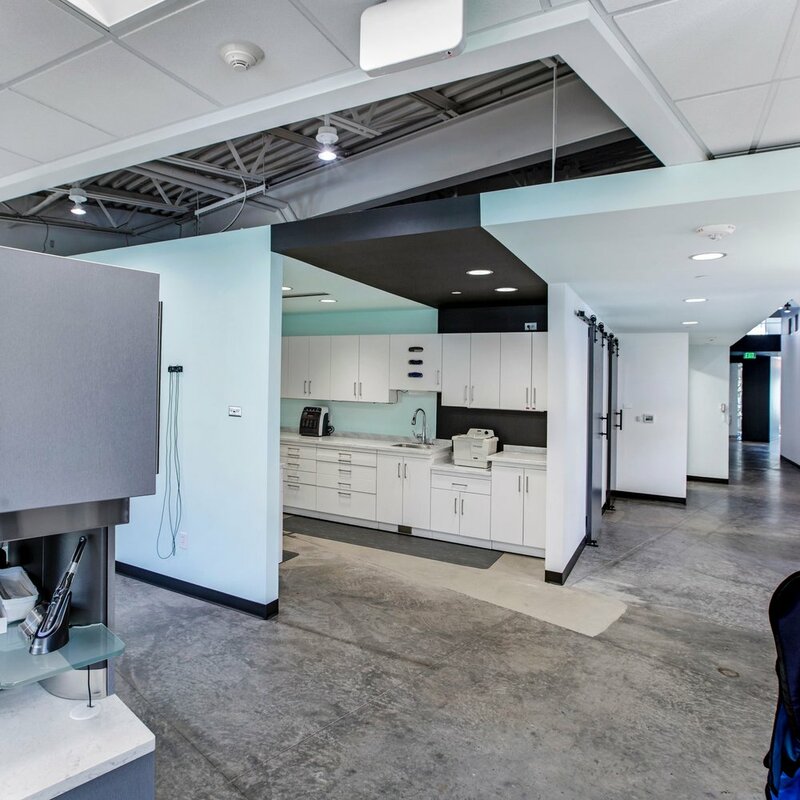 There are many new things to experience in the dental office, and we use an interactive method to show them all of our fun tools and equipment. Dental pain can be extremely uncomfortable; if you have any dental pain we are happy to see you in our office. During an emergency exam we will often take an x-ray and do a limited-based, problem-focused examination to help determine the problem. Swelling of facial tissue can lead to life threatening issues if not taken seriously. If you ever have any issues with breathing, please go the emergency room immediately. We provide preventative care to help keep your teeth functioning for a lifetime. This includes exams, dental x-rays, children and adult cleanings, fluoride treatments, sealants and oral health education. We provide comprehensive dental implant services in our practice. Dr. Garry Millard, a periodontist has joined our team to offer these services to our patients. A dental implant is a great way to replace a single missing tooth or even several. Please call our office if you are missing or or several teeth to set up a visit to discuss tooth replacement options. If you are interested in changing your smile, cosmetic dentistry provides many great options for you. It is best to come in for a consultation so that we can walk you through the process step by step. Dr. Urnise can design porcelain veneers or crowns to create a beautiful natural smile. We provide a variety of teeth whitening options in our office. The discoloration of your teeth can be caused by the food and beverages you consume, like coffee, tea, soda and tobacco products. Restoring your natural white smile is a priority for our team. Our goal is to meet the needs of every patient, and every patient's needs are different. Dr. Urnise is a mother herself and loves seeing children. Children often do better than parents expect with their first visit. 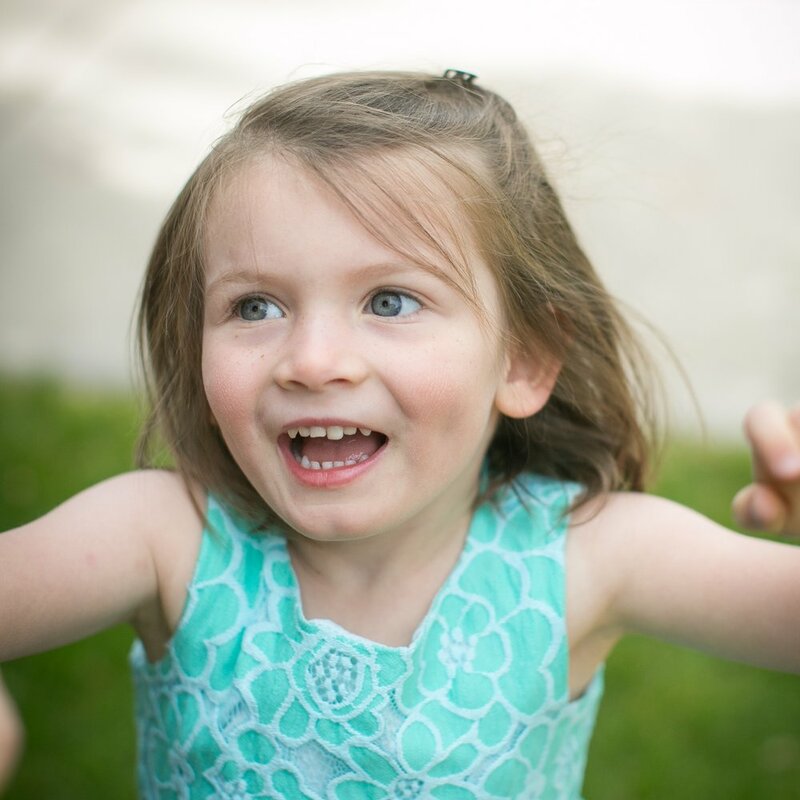 Dr. Urnise wants to create a great patient-doctor relationship so we can provide high-quality dental care tailored to your child’s growing smile. The American Dental Association recommends that children begin seeing the dentist as soon as their first tooth emerges, often before the age of 1. We do comprehensive dentistry in our office ranging from tooth colored (composite) restorations to full ceramic crowns that look natural and function like a normal tooth. If you are in need of any dental care we can provide you with a full range of options to restore your teeth so you can smile for a lifetime. If you are a mom-to-be, you’re probably trying to filter through a mountain of information to ensure you are doing the best for your baby. We want all new moms to know that we prioritize their health as well as their baby’s heath. We love babies! It is extremely important to keep your regular check-ups and cleaning appointments during pregnancy to prevent things like pregnancy gingivitis. While many moms are unsure about receiving dental treatment during pregnancy, it is completely safe to have dental work done during your pregnancy. The best time to do treatment is during the second trimester. During your first visit, we cover and address your questions regarding all your treatment options during pregnancy. Did you know, a baby is born without the bacteria in their mouth that leads to cavities. This is why it is so important that mom’s maintain their oral health, as the first bacteria to inhabit a baby’s mouth usually comes from their mom. Leaving decay untreated in your mouth increases the chance you will pass along that bacteria to your child, thus increasing their chance to have tooth decay. This is fairly common for pregnant moms. It often starts in the second trimester, and you may notice that your gums tend to bleed when you brush or floss. Sometimes the pregnancy hormones can make it more severe and we may recommend an additional cleaning while you are pregnant. Certain bacteria that are part of periodontal disease have been clearly linked to pre-term births and low-birthweight babies, so it is extremely to keep your regular visits and receive any treatment for periodontal disease if necessary. Some children are born with a very tight lip or a tongue tie. It is very important for both doctors and lactation consultants to evaluate your infant for this because it can make feeding very difficult. In our office we use a laser for these procedures to make them as non-invasive as possible. Please ask Dr. Urnise about this procedure if you have questions. We recommended children brush at least 2x/per day and floss 1x/day. We love the flossers on a handle too and use them on our own kiddos. Water, water, water. If we could give one piece of advice to parents it would be to limit any sugar containing drink to meal time even milk and give water at any other time. Have fun brushing your children’s teeth, make it a game and a habit. There are tons of fun books for kids and we have several in our waiting room. If you child is scared of coming to see us, they are not alone but each time they come they will gain more trust in us so that they can become great dental patients for life. Dr. Urnise has invested in continuing education to help screen for oral signs of sleep apnea. Patients are encouraged to talk about their lifestyle habits and sleep concerns with Dr. Urnise to allow for early intervention and treatment. Dr. Urnise works with local doctors to help provide you with comprehensive care in regards to your sleep health. There are several oral devices that can be fabricated in our office to help treat sleep apnea depending on what type of condition you are diagnosed with from a physician. We have a range of appliances such as the Elastic Mandibular Advancement (EMA), Somnomed (doral appliance), silent sleep and other types that can work for all types of cases. A dental cleaning is preventative care to keep your teeth healthy for a lifetime. Our hygienist will gently scrape away any tarter and plaque that has accumulated since your last cleaning to keep the gum tissue and supporting bone around your teeth healthy. This procedure usually takes one hour in our office. Dental cleanings are one of the most effective preventative procedures for maintaining the health of your smile. To treat periodontal disease we often do a treatment called scaling and root planning. The scaling and root planning procedure allows us to reach the deep bacterial pockets in order to remove damaged tissue and clear out bacterial buildup. Most people are unaware they have periodontal disease but more than 70% of adults have the disease. Dr. Urnise will do a comprehensive exam in order to form an individualized periodontal plan for you. We also have Dr. Garry Millard, a periodontist, to treat advanced cases and even talk about tooth replacement options such as dental implants. Periodontal disease is a chronic inflammation of the gum tissue surrounding your teeth allowing certain harmful bacteria to multiple to levels that start destroying your bone. Periodontal disease is a condition that when left untreated can cause destruction of the bone supporting your teeth, causing tooth mobility, infection and potentially tooth loss. We perform dental fillings in our office regularly to fix dental cavities. We use a white tooth colored resin to fill these areas. For most fillings, you can expect to receive local anesthetic to make the procedure more comfortable. Professional teeth whitening can improve your smile. If you are looking for a quick, easy, and effective way to boost the appearance of your smile, you may consider professional teeth whitening. Dr. Urnise can provide custom trays to fit comfortably over your teeth. Patients use these trays to apply the whitening gel to their teeth once per day. Professional teeth whitening provides optimal results when compared to over the counter options. Professional whitening gels are designed to reduce sensitivity and provide faster, more stable results. High-grade whitening gels are carefully and evenly administered to the surface of the teeth avoiding contact with the gum tissue. If a tooth fractures or has several old fillings compromising its strength, you may need a crown to cover a tooth to help restore it to its normal shape and size. Overall, a crown can make your tooth stronger and improve its appearance. A crown is also a good way to cover teeth that you want to change to have a new smile. An implant crown is a great way to replace a missing tooth. The implants we place are titanium which allow integration into the bone for a high success. Multiple teeth can also be replaced with several implants and provide great chewing ability. We now offer comprehensive implant services at our office from the surgery placement of the implant to the final crown placement. Once an implant crown is restored it is difficult for anyone other than a dentist to tell the difference between this tooth and your natural teeth. A bridge is another great way to restore a missing tooth. A bridge is 3 or more crowns linked together where one of the teeth is a fake (called a pontic). A bridge is permanently cemented in the mouth and looks like natural teeth. In order to clean a bridge we will show you how to use special floss underneath the fake tooth to make sure the bridge lasts as long as possible. While losing a tooth is not ideal, we have some great options to replace teeth after a dental extraction. In our office we have a few additional procedures that can help prevent bone loss after the tooth is removed so that an implant can be completed sooner. This procedure is called bone grafting, we use a material that goes through several stringent processes in order to provide the highest level of care. Talk to Dr. Urnise about this option if you are considering an extraction followed by an implant. A denture is used to replace an entire upper or lower arch that has no teeth remaining. There are several kinds of dentures such as a conventional denture, an implant supported overdenture, and an all-on-4 screw retained denture. We will go over the treatment process and cost in our office with you to determine what meets you needs. Partial dentures can be used to replace teeth you are missing. There are several types of partial dentures so it is best to have a consultation to decide what type would be best for you. This is also a great option before implants are placed or to help provide long term chewing function and esthetics. What is TMD? Temporomandibular Joint Disorders are often referred to as “TMJ” issues. The symptoms can range from the following below. There are several ways to treat TMD disorders and the range of symptoms can be unique for each patient. It is best to come in for a comprehensive examination to determine what the correct treatment is for you. Often we work with other doctors, and members of the medical community to try and get the most accurate diagnosis. A night guard, sometimes referred to as a splint, is used to help protect teeth from grinding or assist in relaxing muscles that are strained from TMD. It is important to protect teeth from further wear to preserve your teeth so that you can function with them for the rest of your life. We also use this appliance after doing cosmetic dentistry or implants to protect the materials we use to restore your beautiful smile. Custom fit mouthguards provide improved protection and comfort in comparison to over the counter bite-and-fit options. Custom mouthguards are designed specifically for your measurements using dental impressions. A better fit mouthguard helps you or your child stay focused on their performance, not on clenching their jaw to secure the mouthguard. Once in place, a custom mouthguard enables the wearer to drink fluids and communicate with others without needing to be removed. This greatly improves compliance and reduces loss, especially among young athletes. Receiving a custom mouthguard is quick, easy and painless. Dr. Urnise will take a simple mold in our office of your smile to use for your mouthguard. Once fabricated, patients can pick up their mouthguard and it is ready for use immediately. They can also be ordered in fun or team colors. If you or your child are involved in contact sports or any activity that could endanger your smile, discuss the benefits of a custom sports mouthguard with Dr. Urnise. Dr. Urnise believes preventative care is crucial for all patient, especially those going through radiation therapy. She has taken continuing education to in this area to help provide these patients with the most up-to-date preventative care. Often time custom fluoride trays are recommended for patients, and we can provide these services in our office. Our staff is equipped and experienced in treating patients from diverse backgrounds and levels of need. We will do whatever we can to make dental visits easy for any patient. Dr. Urnise also loves treating geriatric patients and building relationships with them. At Urnise Dentistry we offer digital x-rays for our patients. With digital technology, images can be reviewed instantly. The overall process is faster, safer and produces higher resolution films than traditional x-rays. We now offer both Cone beam CT imaging and digital panoramic radiographs to help provide the highest standard of care in our office. X-rays are a critical part of your comprehensive evaluation, and Dr. Urnise will use them extensively to assess your full dental needs. Without this tool, Dr. Urnise cannot fully evaluate your dental needs and may not be able to diagnose something that would be simple to fix now but costly in the future if left untreated. In addition to the diagnostic benefits, digital x-rays have lower material costs, produce less waste and decrease radiation dosages by more than 50%. Digital x-rays are efficient, safe and provide significant advantages for the environment as well as the patient. We have the latest technology to offer our patients with the Vatech Green CT 2. This technology is used to produce three dimensional (3-D) images of your teeth, soft tissues, nerve pathways and bone in a single scan. This allows us to help screen for airway issues, implant planning, oral surgery and evaluate all your dental needs. With this new machine is offers up to 70% reduction of radiation from older machines protecting our patients and still providing the highest standard of care. An intraoral camera is an indispensable diagnostic and education tool. This tiny video camera moves around the inside of your mouth to generate a tooth by tooth picture exam of your teeth. This technology allows patients the ability to better understand their dental needs by seeing exactly what the dentist sees. Patients can see their teeth and Dr. Urnise can indicate problems such as broken teeth, decay, gum disease and defective fillings. This tool allows us to take a stream of pictures to create 3D models of your teeth to use for dental appliances and now replaces taking a goopy impression. An amazing thing about this technology is that we can send the files directly to our lab. In addition, it is great for patients who have a strong gag reflex as we can avoid the need for any impression material in your mouth. The ability to get perfect accuracy with this technology is why we have invested in it for our patients.